A number of folks who I know to be educated (and presumably intelligent) have been astonishingly dismissive of recent findings that Laura Smith, the chief financial officer of our Scottsdale Unified School District lied about the degree of a conflict of interest between her role as steward of taxpayer money budgeted for schools, and her ownership of a company that was a vendor to the very same school district. I am baffled as to how intelligent folks don’t understand what constitutes a conflict of interest, or why it’s a bad thing. Wikipedia has a good definition. For full disclosure (an important concept within the larger discussion of conflict of interest), I’m a frequent contributor and editor on Wikipedia. Conflict of interest (COI) editing involves contributing to Wikipedia about yourself, family, friends, clients, employers, or your financial and other relationships. Any external relationship can trigger a conflict of interest. That someone has a conflict of interest is a description of a situation, not a judgment about that person’s opinions or integrity. The Wikipedia policy gets a bit esoteric from that point onward, but I think you can understand that self-interest in the subject of a Wikipedia article can potentially erode the neutral viewpoint that is vital to credibility. Primary interest refers to the principal goals of the profession or activity, such as the protection of clients, the health of patients, the integrity of research, and the duties of public officer. Secondary interest includes personal benefit and is not limited to only financial gain but also such motives as the desire for professional advancement, or the wish to do favours [sic] for family and friends. These secondary interests are not treated as wrong in and of themselves, but become objectionable when they are believed to have greater weight than the primary interests. Conflict of interest rules in the public sphere mainly focus on financial relationships since they are relatively more objective, fungible, and quantifiable, and usually involve the political, legal, and medical fields. In the case of SUSD CFO Laura Smith, there was a very real risk that she would (and it appears she did) make SUSD financial decisions that directly benefited her company, Professional Group Public Consulting, Inc.
Smith filed a conflict of interest disclosure at some point while she was employed by SUSD. But it appears she ignored the responsibility to recuse herself from decisions regarding her company, and the responsibility to avoid giving unfair advantage to her company in its dealings with the district. It was reported by Channel 3’s Lindsey Reiser, that Smith failed to disclose that her partner in PGPC is her sister, Carolyne Brackley; and that while working for SUSD, Smith inquired about pricing of PGPC services. Maintaining the integrity of the procurement process to get the most value for the taxpayer’s expenditures. Preventing undue favoritism toward one vendor at the expense of others. Ensuring public officials are focused on the duties for which they are hired (and PAID by taxpayer money), and their responsibilities to their constituents. That last point doesn’t get discussed very often. But a national news story on Politico last week touched upon it. Heath Hall was, until this information surfaced, the acting head of the Federal Railroad Administration. Hall apparently was simultaneously operating a “public relations and political consulting firm,” in Mississippi. 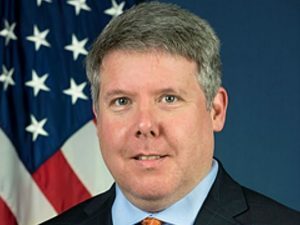 Hall was in charge of an agency with a $1.7 billion budget, overseeing the safety of 760 railroads, a multibillion-dollar freight rail industry and the safety of millions of passengers. In an agency for which the primary function is transportation safety for our citizens, and during a time when it has experienced several high-profile, fatal railroad crashes (four involving Amtrak alone since December), how much time was Hall spending running his private company? So, my intelligent friends, are you starting to understand why conflict of interest is harmful? Hall’s company even got a no-bid, $75,000 public relations contract from the [Madison County, Mississippi] Board of Supervisors the same week he joined [the U.S.] DOT — a move that brought objections from two of the five board members, who wondered why the county wasn’t letting other firms compete for the work. The supervisor who pushed the contract was one of Hall’s firm’s clients, the Madison County Journal reported at the time. Don’t get me started on no-bid contracts. They are one of the hallmarks of a kleptocracy; along with conflicts of interest; meetings of public bodies from which the public is excluded; threatening legal action against whistle-blowers; and obstructing access to public records. All of these have been present in SUSD for some time, but I’ll focus on conflicts of interest for the present discussion. What hasn’t been explained yet by local reporting is how Laura Smith got hired in the first place: A pre-existing relationship with SUSD superintendent, Denise Birdwell. Now, it isn’t a conflict of interest, per se, to hire your friends. But if your hired friends aren’t qualified for the job, they don’t understand potential issues like conflict of interest, and you don’t do a diligent search for more qualified candidates (let alone, outright ignoring better qualified candidates who actually applied); then that’s a problem. That seems to be a problem that extends to a number of other Denise Birdwell hires, like a long-time architect-friend, Brian Robichaux. He was contracted to do campus redesign work but he turned out to not be licensed…and oh, by the way, he’s felon convicted of stealing taxpayer money he was paid to build homes for the Arizona Department of Transportation for citizens displaced by a highway project. And there’s Louis Hartwell, the brother of Birdwell’s roommate. 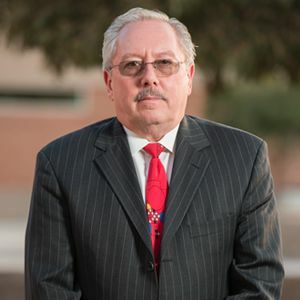 Hartwell went from a low-level IT position in the Higley Unified School District (which Birdwell wrecked before being recruited by SUSD Board member, Pam Kirby, to come to SUSD). Hartwell is now alternately described as the “chief systems officer” and “chief operating officer” for SUSD. Yet, the credentials upon which he was hired appear to be largely faked, and I personally witnessed him fumbling to figure out how to start a PowerPoint presentation during a board meeting. 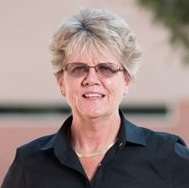 Birdwell herself appears to be a commissioned agent for a company that is providing teacher professional development training to SUSD; and multiple SUSD contracts for goods and services have been routed through mysterious intermediaries (which presumably enjoy a cut or commission) instead of being being purchased directly from manufacturers and vendors. 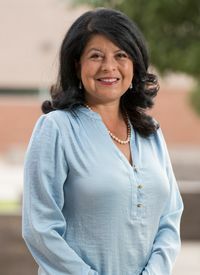 The SUSD elected governing board–whose primary duties are to protect the students and steward taxpayer money–was first notified in June (and may have known much longer) about some or all of these conflicts of interest. 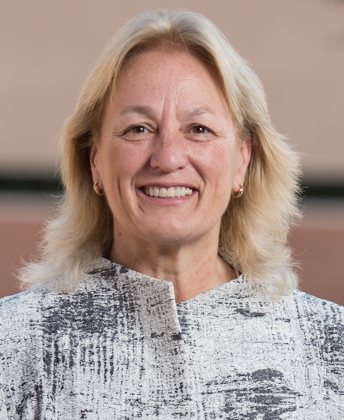 Do the board members (like Pam Kirby) themselves have undisclosed conflicts of interest? Why else would they sit on this information for so long without taking action? Any private business or corporation would have immediately suspended officers against whom credible allegations of malfeasance have been made. This not just for appearance sake; it’s to stop any ONGOING malfeasance! Kirby and Hartmann have no excuses – their professional careers in Finance, Budget and Accounting taught them far more than they need to know to recognize financial corruption. They knew what they should do when they learned of corrupt activities. And they chose to do the opposite. Rather than investigating the evidence of corruption immediately, Kirby instead demanded that the Whistle Blowers be silenced. And then to top off the abuse and insults to taxpayers, Kirby and Co. approved a legal fund for Birdwell to use to SUE THOSE WHO IDENTIFIED HER CORRUPT ACTIVITIES. It is inconceivable that a Governing Board member could possibly have made such bad decisions with or without formal training in finance. Kirby and Hartmann knew what the law and all concepts of integrity required them to do – and chose the opposite. Mr Washington, do you know what the procurement process is for school districts building? Because there is no bid process. Period. The state set it up this way. So my question is if you know this, shouldn’t you be railing against the state and not SUSD? And if you didn’t know this, why not? Your buddy Mike Norton does. I know for a fact that he knows because he and I were at the same meeting where this was explained to us. I know he lies about it. The thing I’m not sure is whether you simply didnt bother to find out. Or you are likewise misleading your audience… well? Yes, I do know, José. B) Even the “set up” process was violated by steering contracts to vendors not on the approved list. D) Past violations don’t justify ongoing violations. But nice try. I have a swell parting gift for you. While both of us attended some of the same meetings, Jose, the difference is I actually understood what was being said. Go get your new whistle, go ref a soccer match, and do something you’re competent to handle. If you have kids or relatives playing for one side or the other, keep that a secret. No one would want to accuse you of swallowing your whistle for your friends, would they. Where did I misunderstand the process? As usual you make accusations without substance. Is there a box process or isn’t there? Mr Washington, where Did i say anything about last anythings? I spoke about the system. It was followed. If it’s flawed Is it susd’s job to change it? What vendor wasn’t on the list? You support corrupt leadership of our District, Jose. You have swallowed your Corruption Whistle. Tangential rants about those who blew their whistle tells the audience all it needs to know. I am proud to say that you despise me. I am mystified by your continuous trolling to track me around the internet to post something derogatory. Have you nothing else to do? No employment? No career? Or is this your paid function in life? Mike. This is sad. I despise you? Seriously, my friend. I believe it is you that have said that about me. I don’t think much about you. As for tracking you down, I didn’t realize mr Washington’s writing were your private domain. But maybe that explains a lot. I used to think he made some sense. Lately he just seems parrrots what you tell him. As usual, Jose, you were talking yourself in circles. Ah yes, I talk in circles as you respond to phantoms things I never said. Of course I imagine it’s easier that way. You provide both sides of the discussion and you tell yourself how bright and witty you are… what color is the sky in your world? This is my favorite part of the non sequitur dialogue with you, Jose. When you say “who’s attacking whom”. Explaining the internet to you. Go back up to your first comment. You called me a liar. You accused John of intentionally misleading others. In other words, you are the “who” in “who’s attacking whom”. But don’t let that bother you. Troll on. People are judged by both their enemies and friends. I’m proud we’re enemies. But for gods’ sakes, man, find something to do with your life. I mean look at this discussion… who’s attacking whom? In the immortal words of Jackson Browne, you need to take either more of it or less of it. Honestly, Jose. Go away. Find someone new to troll. Check out Instagram. Pretty pictures. Nothing there to confuse you. Normally, José, I’m ok with going toe-to-toe with anyone. But language like that doesn’t belong here, and I can’t let you use my portal to attack others in that crude manner.